Version 7.0; Copyright TypingMaster, Inc. This powerful typing tutor enables easy instruction of the touch typing technique to a large amount of users in multiple groups. The purpose of this manual is to guide you in the installation of the program on your local area network (LAN). It also explains the basic features of TypingMaster User Manager program (hereinafter TypingMaster Manager) which enables easy control and editing of users in TypingMaster. TypingMaster can store personal study data for thousands of users recognizing any user on any workstation in the network. The Manager also helps you to easily manage user records as groups and follow progress and test scores using a variety of reports, no matter how big and varied your groups are. You can also arrange fully customized typing tests for individual users or entire groups using texts of your own choice. In the installation section of the manual (chapters 2 and 3), a short summary of the chapter is presented at the beginning of each chapter. The summary is followed by detailed instructions explaining the procedure. In the TypingMaster Manager section (chapter 4) all the main features of TypingMaster Manager are introduced along with some useful tips. Please read this manual carefully before installing the program. This will help you avoid unnecessary problems during the installation and use of the program. This part of the manual describes how to install TypingMaster Pro and get it running smoothly on the server and all the workstations. 1. A computer is selected to act as a server for TypingMaster Pro. This computer will host all the user information. Usually this computer is school file server. 2. TypingMaster is installed through administrator's computer to server (or directly on the server). 3. The Licenses are entered to TypingMaster Pro and common settings to all workstations are set. 4. The installation is completed on all the workstations connected to the server (optional). To start the installation for TypingMaster Pro, you must have the setup package for TypingMaster Pro. This package is available as a download from our web site www.typingmaster.com. Please consult the TypingMaster Pro User Manual for detailed instructions on how to download the setup package. If you have purchased the program as a CD shipment, the CD contains the setup package and no downloading is needed. A shared folder for the installation of TypingMaster Pro is available on the computer that acts as a server (usually the school file server). All the workstations must have access to this folder. The folder can be e.g. \\server\applications\typingmaster. The person performing the installation has full rights to the shared folder. If you are not sure whether you have the necessary rights, consult the network administrator of your organization for more details. In this chapter we will go through the installation of TypingMaster. The installation is quite straightforward and adheres to the usual procedures common to all installations of Windows programs. NOTE: We recommend that you install TypingMaster Pro on your file server from the administrator's computer. This way the installation utility copies the program to the file server while creating the shortcuts to TypingMaster Pro and TypingMaster Manager on the administrator's computer where the actual course and user administration is done. After reading the license agreement and agreeing to it, select the directory where the program is to be installed. You can enter the direct path to the remote server folder or you can click Browse button to locate the mapped network directory. Then select School/Company install to ensure that all the necessary network tools are installed. Next, choose "Teacher led training" course type to allow administrator fully control the learning goals. Finally, after selecting the folder name that will appear in the Start menu, the settings are reviewed and the program files are copied to the selected directory. NOTE: The server installation of TypingMaster Pro is supported on Windows 2003/2008/2012 Server with Domain. The server installation is NOT supported on Windows workstations, because of their limited network capabilities and limit of 5 concurrent sessions. The server side must be on a real File Server. Start the TypingMaster Pro setup program by double clicking on the file typingmaster.exe (or similar). Click on 'Next' and read the License Agreement. Check 'I accept the agreement' to accept the terms of the agreement and click 'Next'. If previous TypingMaster Pro version is already installed on your server, you should install to same folder in order to keep the user data. Choose the destination directory for the installation. This is the directory TypingMaster Pro will be installed to. The default folder 'C:\Program Files\TypingMaster\' is not usually used with the network installation. Select a a shared folder either on the course administrator's computer or network file server for the server installation of TypingMaster. To do that, click on "Browse" and choose the appropriate folder. Select a folder by clicking it. Then enter a name for the folder you want to install TypingMaster Pro (e.g. TypingMaster). NOTE: You can also install TypingMaster to a remote file server in your organization's network. In this case, you can run the installation from the administrator's computer and enter a UNC network path for the server in the "Choose Directory" The UNC path is in format \\SERVERNAME\FOLDER, for example \\FILESERVER\APPS\TMPro. You can also select 'Browse' and choose the folder from your network file server. Click 'Next' to proceed. Now you can select the type of setup for TypingMaster Pro. Select the 'School / Company Install' installation and press 'Next'. If you want to view and choose the components that you want to install on your system choose Custom. To make sure that all the network tools are installed, choose 'School / Company Install'. If you want users to have access to TypingMaster Satellite, use Custom setup and check both 'Teacher tools' and the 'TypingMaster Satellite' box. Press 'Next' after your selections. The "Standard install" option should never be chosen if you are installing on school network. NOTE: TypingMaster Pro supports the Satellite optionally in a networked environment, but usually this additional tool is not required by schools. Please note that the Satellite in itself does not fulfill high-security requirements. Although these requirements can be achieved with the appropriate Windows NT/2000/2003/XP file security permissions, Satellite is not recommended in environments where security is of utmost importance. Please read the security statement for Satellite on our web pages. Detailed information on Satellite can be found in the TypingMaster Pro User Manual. Teacher Led Training: This course type lets you control the course content in more detail allowing you set exact pass limits in the lessons as well as offering a slightly more thorough approach with additional exercises and longer lesson duration. This is recommended for K-12 schools and for instructors that wish to carefully monitor and control users' progress. Independent Study: This course type gives each user control over their own study goals and also offering dynamic lesson duration based on users' speed and accuracy progress. This is recommend for businesses and higher education institutions where users are not being led by an instructor. Setup will now add the TypingMaster Pro program folder to the Start menu. If you are satisfied with the name of the Program Folder just click 'Next' twice and the program files will be copied to the folder you specified. If you want to change the name of the Start menu folder, simply type in a new name after the 'Program Folders:' prompt. 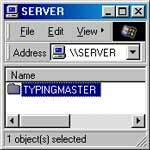 You have now completed the server installation of TypingMaster Pro. It is recommended that you give the program a trial run to make sure everything is working properly. Just click on 'Start > Programs > TypingMaster > TypingMaster Pro' to start the program. In the same Start menu folder you will find the program manuals. NOTE: If you choose Custom install type an extra screen will appear after the Course Type selection. This allows you to install only the components you wish, such as additional languages for the courses. This is only for advanced users familiar with the various components. Some common reasons for choosing this option is that you would like to include the Satellite (not included by default in the School/Company install) or you wish not to install the Study Material Editor. If you are unfamiliar with changing file permissions, please consult your network administrator before making any changes. Changes to the sharing of files and folders may compromise the security of the network and leave it vulnerable to outside attacks. If you have not already set the TypingMaster Pro folder (or the parent folder) as shared you must do it now before installing TypingMaster to workstations. 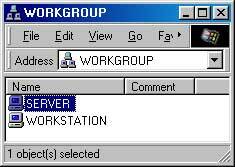 NOTE: Windows NT/2000/2003/XP Servers require you to set both Sharing Permissions and File Security Permissions: When you create a new shared folder, the Everyone group is automatically assigned only the Read permission, which is the most restrictive and always applies. When the share permission is set to Everyone = Read and the Security File Permissions would allow users to make required changes to DATABASE sub folder, the share permission applies, and the user is not allowed to change their data. This common configuration problem prevents users accessing TypingMaster (error #1551 Access Denied is shown). 1. From the Server: Browse to the installation folder on the server and right click on the folder icon and choose Properties. 2. Select the Sharing Tab: Select "Share This Folder" and choose a short and easy to remember name for sharing (e.g. TYPINGMASTER). If you trust your users not to tamper with the program files, you can set the whole TypingMaster Pro folder and all subfolders to be shared with Full Control (read/write) permissions. TypingMaster\texts: read (if you want to give your users the option to alter and change typing test texts set the value to change). Before installing TypingMaster Pro to the workstations the licenses that you have purchased need to be inserted. You also have to specify those settings that apply to all workstation installations. Select the Licenses tab and click on 'View/Add Licenses'. NOTE: If you get an error message saying that your License ID or Product Key was inserted incorrectly, please check that the ID and Key were entered exactly as they were in the email. Also note that the different product versions have different licenses: For example TypingMaster Pro 7 requires an updated license (TypingMaster Pro 6.30 or TypingMaster 2002 license needs to be upgraded). Please contact us at www.TypingMaster.com/contact/support.asp if you have any problems with License ID and/or Product Key. Now the licenses are installed on your server. The Licenses menu will show information on your newly inserted license. NOTE: TypingMaster Pro is ready for use with the default settings. However, Installation Settings need to be configured if you want to install Satellite or change the installation directory. Select the 'Common Settings' tab. Here you can configure the basic policy for users and the workstation installations. Scroll down the menu to Installation Settings if you want to change the installation directory (default c:\typingmaster) or install Satellite. To find out more about the Common Settings and how they affect user settings, go to chapter 4.2. After changing the settings, click on 'Ok'. Now you have completed the preparations for workstation installations. The installation into Terminal Server is quite straightforward and adheres to the usual procedures common to all installations of Windows programs. TypingMaster automatically detects the Terminal services and works in optimal mode. The amount of screen colors is dropped for the optimal speed. The installation with Concurrent licenses is recommended since it makes the terminals to reserve licenses in the most flexible way. Notice that more than 256 colors are recommended for Terminal Sessions. To complete installation on Terminal Server, complete steps 2.2.1-2.2.5 on the server and after this, just make a shortcut pointing into TypingMaster.exe available to all terminal server users (see 2.3.3). To complete installation on cluster of terminal servers, complete steps 2.2.1-2.2.5 on the main server and after this, complete netsetup on rest of the servers in order to save bandwidth. Now all clients can still access the software easily and database is located on main server. Finally you need to make a shortcut pointing into TypingMaster.exe available to all terminal server users (2.3.3). There are two ways of installing TypingMaster Pro to a remote workstation. If you have fast network (or limited hard drive space on your workstations), you can also run the application directly from the server. However, this method has some disadvantages. First of all, the load on the server and the network will be substantial, especially when many people are using the program at the same time. To be able to use the program installed by using a shortcut, you will need a powerful server with a fast hard disk and a very fast network (100MB recommended). Second, there is no way of controlling which workstations are allowed to use TypingMaster unless it is set in the sharing permissions of the network. Once a program is launched from a workstation one license is used. This makes the maintenance of licenses quite difficult. However this form of install does have the advantage of not requiring to install on to each computer, this allows updates to easily be added. Also this is type of install is recommended for schools and companies using concurrent licenses across many machines. This limits the amount of installations needed. In this method of installation, the program Netsetup.exe from the server's TypingMaster directory is run on each workstation. Netsetup will automatically install TypingMaster in the folder set in the server's 'Common Settings' and creates the shortcut to Start Menu / Programs. Go (physically) to the workstation where you want to install TypingMaster Pro. Go to 'Start > Run...' and execute the file '\\server\programs\tmpro\netsetup.exe' (or equivalent). Double-click on the 'Network Neighborhood' icon in the desktop. From the list of computers connected to your network, find the name of the server and double-click it. Double-click on the TypingMaster Pro installation folder on the server. Find the file 'netsetup.exe' and double-click it. This will install TypingMaster on the workstation in the directory you specified in the Common Settings of TypingMaster Manager. TypingMaster Pro is now installed on the workstation and it is ready for use. To install TypingMaster Pro to other computers, just repeat the steps above on each workstation. This chapter will demonstrate how to install TypingMaster Pro on workstations so that the program is run directly from the server. To do this you have to create a shortcut in the workstation that will point to the TypingMaster Pro program file (TypingMaster.exe) on the server. NOTE: To be able to use the shortcut installation the setting 'Strict License Monitoring' must be turned off in the Common Settings. Also note that each time TypingMaster Pro is started from a new workstation, one workstation license is used. This can lead to a shortage of workstation licenses when workstation licenses are being used. In that case, workstations have to be manually removed in the User Manager. The easier solution is to purchase concurrent licenses instead. Double click on the 'Network Neighborhood' icon in the desktop. From the list of computers connected to your network find the name of the server and double-click it. Double click on the TypingMaster Pro folder in the server. Find the file named 'TypingMaster.exe'. This is the file that is executed when TypingMaster Pro is started. Select this file. A new icon named 'Shortcut to TypingMaster' is created on the desktop. This is a shortcut to the file on the server. If you want you can change the name of the shortcut, select the shortcut and press 'F2' or right-click on it and select 'Rename'. Type in a new name (e.g. TypingMaster Pro) and press 'Enter'. Now you have created a shortcut from the workstation to TypingMaster Pro on the server. Each time this new icon is double-clicked the program on the server will start. To create shortcuts on other workstations just repeat the steps above on each workstation. This chapter covers the uninstallation of TypingMaster Pro from workstations and the server. Uninstallation procedure varies depending on how it was originally installed. First, the TypingMaster installation folder is removed from the workstation and the entry from Start-menu is removed. Then the server is removed from TypingMaster Manager to free up a license. Delete the TypingMaster folder from the workstation. This is the folder that you specified in the server installation's 'Common Settings'. Delete the shortcut to TypingMaster Pro from the Start -menu (and Desktop). In the window that opens, double-click on the 'Programs' folder. Find the file 'TypingMaster Pro'. Select this file and press the 'Delete' key. When the 'Confirm File Delete' window appears, select 'Yes'. Finally, you will have to remove the workstation from the list of workstations in TypingMaster Manager in order to free up the license that this workstation has used. From the workstation list, check the name of the workstation you just removed TypingMaster Pro from. When the 'Confirm' window appears, select 'Yes'. The workstation is removed from the list and a used license is freed at the lower left corner of the window. You have now completed the uninstallation of a workstation that was installed using Netsetup. To remove more workstations repeat the steps above. To uninstall workstations that use the TypingMaster Pro program from the server, all you have to do is remove the shortcut to TypingMaster Pro from the workstation. Then remove the workstation from TypingMaster Manager to free up a workstation license. Click here to view how this is done. After you have uninstalled the program from all your workstations you can uninstall the program from your server. TypingMaster Pro is uninstalled like any other Windows program from 'Start > Control Panel > Add/Remove Programs'. Just select 'TypingMaster' from the list and click on 'Add/Remove'. NOTE: Before uninstalling the server, make sure there are no users using the application. You can prevent users logging on to TypingMaster when you are uninstalling by choosing not to share the folder anymore. To close the Satellite, click on the Satellite icon in the task bar and select 'Close'. Uncheck the 'Launch Satellite automatically at Windows logon' option and select 'Yes'. If uninstallation fails, make sure there are no users using the application. You can confirm this by un-sharing the installation folder. This chapter will cover the features and use of TypingMaster User Manager. TypingMaster User Manager is a powerful tool for course administrators. It can store personal study data of up to thousands of users recognizing any user on any workstation within the network. With the advanced Manager you can manage users as groups and follow their progress and test scores with a variety of reports that can be created very easily in just a matter of seconds. You can also arrange fully customized typing tests for individuals or one or more groups using texts of your own choice. TypingMaster User Manager gives the course administrator control over the way in which the lessons progress. You can, for example, select the courses to be studied, disable skipping lessons and lock lessons so that they must be completed before the user can move on. This chapter will introduce you to the main features of TypingMaster User Manager. You will be shown how to create and edit users, organize them into groups and print reports of their progress. The main features of setting typing tests and organizing your licenses are also explained. TypingMaster User Manager is divided into six main sections: Users, Groups, Courses, Typing Tests, Licenses and Common Settings. Each of these sections can be reached by selecting the appropriate tab. The controls for each section are situated in the menu at the left side of the screen. NOTE: After modifying user, group or common settings the users usually need to login again so that the new settings can take effect. Also some settings require that the user must select the option after the change has been made. For example changing the time allocated for a test, exercise or course will only take effect if the user selects the option after the new time has been set. When you select the 'Users' tab in TypingMaster User Manager, you will see the users of TypingMaster in an alphabetical list with general information on each user. By default, all users are shown in the list. To view users in a specific group, select the group name from the drop-down list in the user menu. You can also choose to sort user list differently by clicking the corresponding column name. The group that this user belongs to. The default group for users is 'New Users'. The user menu offers many powerful tools for creating new users and editing the settings of old users. All the options connected to a specific user are gathered under this menu. To modify the properties of a user, select the user from the list of users and then choose the action you wish to modify from the User Menu. Here is a description of all the options in the user menu with tips for their use. You can choose the group of users to be listed with this drop-down menu. This helps manage users especially if the userbase is very large. These options let the administrator view and print a variety of reports on the progress of users. This option creates a complete report on the selected user. The report first displays general information on the user including group name, current course, complete studying time, date of creation and date and time of last usage. This is followed by a detailed summary of all the exercises and tests the user has completed. The type, duration, date and time are shown for each exercise and test. The results of the exercise are also shown where applicable. Click 'close' when you want to return to 'Users' screen. You can also choose the width of the page from the drop-down menu. NOTE: If the exercise name is in brackets, e.g. (1.7) this means that the exercise was not completed in full. The column "Time" shows the time the user has spent on the exercise whilst column "Duration" shows the exercise duration. Latest Exercises This option shows the latest completed exercises of the selected user. The report shows a detailed summary of the exercise along with information on the results of the exercise where applicable. This option creates a report on the selected users. The users are grouped by their studying group and general studying information is displayed for each user. To select all users in the user list click on the menu option 'Select All' under Edit User(s) or press CTRL-A while in the user list. Individual users can be added to a selection by clicking on a user name with the CTRL key pressed. This option shows the detailed report of the last completed test of the selected user(s). The report shows also the actual test text typed by user with each typing mistake marked clearly to the text. Tip! If you need to see the details of an earlier test, you can open the report from the typing tutor's Typing Test section when the user is logged in. Latest Tests This option shows the latest tests of the selected user. The report shows test name, user's gross and net speed and accuracy, total keystrokes and number errors. Typing Test Certificate This option shows the typing test certificate of last completed test of the selected user(s). These options let the administrator perform actions that affect the selected user. Selecting this option brings up a window that shows the selected user's settings. You can view and change these settings and also enter a new password for the user if the current password has been forgotten or if the user name has just been created. The other user settings are the same that can be defined in the Common Settings section. However, these settings apply only to the selected user. For detailed information on these settings please see the Common Settings chapter of the manual (4.2). NOTE: The user settings that have been locked in the Common Settings menu override these user settings. This option brings up a window where you can select an existing group or create a new one for the selected user. TIP! It is practical to set a class of users as a group. This way you can control the settings and arrange a typing test for a whole class just by modifying group properties. With this option you can send a message to a selected user. The user receives the message when he/she starts TypingMaster. NOTE: A new message sent to a user will override an older unread message. With this option you can arrange a typing test for the selected user. You will be able to select the test text, test duration, and enter a message for the user. When the user starts TypingMaster, the user will be taken to the test automatically. These options let the administrator edit users in the user list. You can rename the selected user. NOTE: TypingMaster Pro accepts special characters in user names. With this option you can delete the selected user. NOTE: TypingMaster Pro does not have an undelete option. Therefore the deletion is permanent. Add User This option will add a user to the user list and let you type the name of the user. The user is assigned to group 'New Users' by default. You can change the group by selecting the user and clicking on 'Set Group'. Select All This option will select all users in the user list. After selecting all users, you can make desired changes and all users will be affected. When you select the 'Groups' tab in TypingMaster User Manager, you will see all the groups you have created, the amount of users in a group and the date the group was created. The 'Groups' menu offers many powerful tools for creating and editing groups. All the options connected to a group are gathered under this menu. To modify the settings of a group, select a group from the list of groups and then choose the setting you wish to modify from the Groups menu. Here is a description of all the options in the Groups menu with tips for their use. This option creates complete reports for all users in the selected group. You can browse the reports with 'Prev. Page' and 'Next Page' buttons and return to 'Groups' menu by clicking on 'Close'. Latest Exercises This option creates detailed information on each user's latest exercises. Latest Tests This option creates a report with detailed information on each user's latest typing tests. User List This option creates a list of all the users in the selected group. The list includes the user name and a short summary on the status of the user. Summary Report Summary report contains figures about progress of chosen group. The course list displays how many users have started or completed each course. Some averages are counted for the group, such as time spent in all courses and the average course completion progress. This option shows the detailed report of last completed test of the selected group. The report shows also the actual test text typed by user with each typing mistake marked clearly to the text. Typing Test Certificate This option shows the typing test certificate of last completed test of the selected group. These options let the administrator perform actions that affect all users in the selected group. With this option, you are able to set and lock settings that affect all users in the selected group. For detailed information on each setting, go to the Common Settings chapter of the manual (4.2). NOTE: The settings selected and locked in Common Settings override the group settings. Generally it is a good idea to leave the lesson options blank in the Common Settings and set them individually for each group. With this setting, you can send a message to all users in the selected group. The users will receive the message when they start TypingMaster. NOTE: A new message sent to a group will override an older unread message. Arrange Typing Test With this option it is possible to arrange a typing test to all users in the selected group. You can choose the test text, test duration and write a message that will be sent to the users (optional). When a user in a group starts TypingMaster he/she will be taken to the typing test automatically. These options let the administrator edit groups. Rename Group Selecting this option will let you edit the group name. Pressing Enter will commit the new name; pressing Esc will cancel the new name. If you want, you can also change the name of the default group 'New Users'. Delete Group Selecting this option will delete the chosen group. The program will also ask if all users in the group should be deleted. If you click on 'Yes', all users belonging to the group are deleted. If you click on 'No' the users from the deleted group are set to the default group. Add Group This option will add a new group to the list and let you set the name for the group. When you select the 'Courses' tab in TypingMaster User Manager, you will see all the courses that have been installed in TypingMaster Pro. The list shows the Name and Description of a particular course. The column 'Lessons' shows the amount of lessons and the lesson duration chosen for a course. From the Course Tasks menu the administrator can change the settings, show/hide and mark the selected course as default. Here is a description of all the options in the Course Tasks menu with tips for their use. NOTE: Course settings are the same for all users and groups. Change Settings This option lets tyou change the lesson settings such as default time for the lesson. When the time is locked users will not be able to change it in the program. Enable / Disable Course This option will let you show or hide the chosen course from users. You may want to hide courses that are not part of your course plan. Make default Only one course at a time can be the default one. Choose the course that each user should complete first. If you want that only one particular course is accessible you can disable all other courses with Disable Course button. Lesson Duration With this setting you are able to set the default time for a lesson. You can lock the duration and users cannot change it themselves. Enabling this setting locks the access to next lessons unless user has completed each exercise in the current lesson. Tip: You can set Bypass lesson lock setting for individual groups or users if necessary. Exercise Lock This setting is designed to make sure that each user will spend the full time in exercises and cannot skip them before exercises are fully completed. Minimum Net Speed Each lesson contains an exam as the last exercise. Set here the minimum net speed needed to pass this exam. Only if this limit is reached does the exam appear as completed and user can go to next lesson. Net Speed is the typing speed calculated after error penalties have been calculated. Minimum Accuracy Sets the accuracy level needed to pass the exam. Accuracy percentage of words typed correctly, 100% means that all words were type, 50% means that only half of all words were typed correctly. Only if this limit is reached the exam is marked as completed. Exam Lock When this option is checked, an Lesson Exam will be marked completed only if the users types the whole text or the whole time required. Exam Time You can choose to override the course specific exam durations that may differ between lessons. Use this option if the exams appear to be too long. When you select the 'Typing Tests' tab in TypingMaster User Manager, you will see all the typing tests that have been installed in TypingMaster Pro. The list shows the Name and Copyright of a particular text. The column 'Time (min.)' shows the default time selected for a particular text. The text (Lock) at the end of the time indicates that the default time has been locked. From the Typing Test menu the administrator can change the settings, edit and delete the selected text. Here is a description of all the options in the Typing Test menu with tips for their use. Change Settings This option lets you change the name and default time for the selected text. When the time is locked users will not be able to change it in the program. Note that the arranged typing tests (see 4.1.2.) override the default time even if it is locked. Edit Text This option will let you edit the selected test. Hides the test from the users. This means it can not be selected from the Test Selection menu when a user takes a test. You can see easily which tests texts are hidden in the Typing Test tab as they have a red line over the document icon. This setting is designed so that you are able to hide any tests you may wish to use to grade the users with. You can then unhide and assign the test at the desired time. Delete Test This option will permanently delete the selected Typing Test. Selecting this option will bring up a window where you can choose a text file to be added as a typing test. IMPORTANT: The file that is added has to be a standard ASCII text file without any formatting information. We strongly recommend doing any text additions with Notepad or similar text editor. If you need to use a text created with a word processor, we recommend to first copy-paste it to Notepad and save it as a .TXT file before adding the text the tests. Name Allows you to edit the name of the test; this is the name that is displayed both in the Manager and to users in the tutor. With this setting you are able to set the time for a test. Set the test duration in minutes by entering a number between 0-99. 0 means there is no time limit for the test. Please only enter whole numbers, decimals and fractions will not be recognized. Test Time Lock Enabling this locks the test time to the value specified in the Default Time setting. Without locking the time users can change the time from its default setting before beginning the test. Sets the minimum net speed needed to pass the test. Only if this limit is reached does the test appear in the users report. Net Speed is the typing speed after error penalties have been calculated. Minimum Gross Speed Sets the minimum gross speed needed to pass the test. Only if this limit is reach does the test appear in the users report. Gross Speed is the user's typing speed throughout the test, no penalties are considered. Minimum Accuracy Sets the accuracy percentage needed to pass the test. Only if this limit is reached does the test appear in the users report. Accuracy percentage is the ratio of keystrokes after error penalties to all keys typed. Force Completion Enabling this means that the user must type for the whole duration of the test for it to be passed. So if the test has been locked to 2 minutes, the user must type for that entire time to ensure they pass the test. If the user types through the entire test text before the time has completed they also meet this requirement. IMPORTANT: You should not use Minimum Net Speed and Minimum Gross Speed at the same time as these settings can conflict with each other. NOTE: If passing limits are set for both speed and accuracy then the user must meet them both to pass the test. When you select the 'Licenses' tab in TypingMaster Manager, you will see all the workstation in network that have accessed TypingMaster. You can also see the TypingMaster software version for each workstation. The version number is shown only if NETSETUP was used to install the workstation. The user name of the person who installed the workstation license. The information bar at the lower left corner of the window displays the number of licenses in use and the number of free licenses. Concurrent Licenses: By clicking the workstation, you can see if it currently reserves an concurrent license. When you select this option, a window appears showing you the licenses you have in use. You can insert new license packages into TypingMaster by inserting the License ID and Product Key in the appropriate fields. You can remove workstations to free up workstation licenses. This requires that workstation is not running TypingMaster or the Satellite. After you have uninstalled TypingMaster Pro from the workstation, just check one or more workstations from the list and choose 'Licenses > Remove Workstation'. Upgrade Workstations If you notice that some of workstations are using the old version, you can update the workstations here. 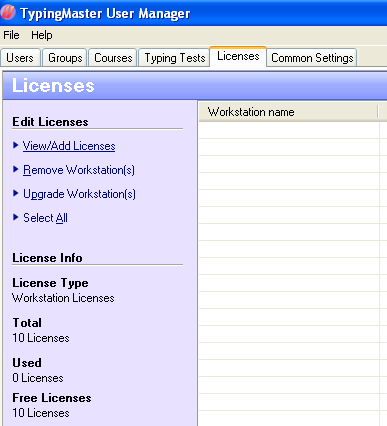 Check one or more workstations from the list and choose 'Licenses > Upgrade Workstations'. Next time when Typing tutor is started on workstation, the NETSETUP will be automatically launched to complete the upgrade installation. Version column keeps displaying a note 'Upgrading' until the upgrade installation is completed. Select All Use this option to select all workstations easily e.g. if you want to quickly upgrade all users to the latest software version. 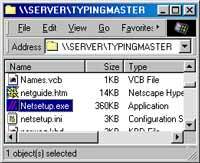 The first time you use TypingMaster User Manager will probably be after your server installation if you want to install Satellite or change the installation directory. However, you can control many more settings and options in Common Settings, which shall be explained in this chapter in detail. Common Settings affect all workstation installations and users. To access the 'Common Settings' start TypingMaster User Manager and select the tab 'Common Settings'. NOTE: Pressing 'Cancel' instead of 'Save' undos the changes just made. NOTE: The settings selected and locked in the Common Settings override the group settings (see 4.1.2). Below is a list of all the settings and some information pertaining to their use. With these settings, the administrator is able to enforce a common policy for all users. NOTE: The default settings can be also locked in order to force all users to have them in use. Language The typing tutor user interface default language can be defined or locked. The choices are based on add-on languages that were installed with the Setup. If you need additional language later on, you can start Setup again to install additional language(s). KPM Speed Unit With this option the administrator can select the default unit for speed measurement. When the option is unselected the default is WPM (Words per Minute) otherwise it is KPM (Keystrokes per Minute) also known as CPM (Characters per Minute). When this value is locked, the speed unit cannot be changed by the user. Sounds Select this option to enable sounds in TypingMaster Pro. Sound is not essential for the operation of the program, but it gives additional feedback to the user. Play Theme Select this option to enable the opening theme of TypingMaster Pro. When this option is selected and locked, the program will automatically detect the correct keyboard layout for each workstation installation. This option is recommended if your network has computers with different keyboard layouts in use and the automatic detection is functioning reliably. With this option, the administrator can manually select a keyboard layout to be used for all workstation installations of TypingMaster Pro. This option is recommended if all computers in your network use the same keyboard layout. NOTE: Keyboard Detection has to be de-selected in order for the manual keyboard selection to function. Scroll down the screen to see Login Settings with which the administrator is able to define user login properties. If this option is selected all users are required to create a password for themselves when logging in for the first time. The password is required each time the user logs in. NOTE: If users are created by an administrator and this option is selected, the administrator has to define a password for the user when creating the user. If a password is not defined, the user will not be able to log in. Prevent New Users By selecting this option, you can disable the creation of new users in TypingMaster. With this option selected, the only way of creating new users is with the Manager. Prevent Self Grouping By default each new user can pick a group where they belong to during the first logon. You can prevent this behavior with this option. Hide User List You can select this option to hide the list of users in the login screen. This results in added security when each user has to know his/her user name to be able to log in. Hide Group List With this option, the group menu in the login screen is also suppressed. When this option is selected TypingMaster Pro will automatically log in with the user's Windows user name. This is recommended in environments where each user has a distinct Windows user name. With this option selected the same user name will also be used for TypingMaster. These settings let the administrator restrict user privileges in the typing test section of TypingMaster. Prevent Test Deletion When this option is selected, users will not be able to delete tests in the program. This will then be possible only through the Manager. Prevent New Test With this option you can prevent users adding custom test texts to the program. With this option selected, adding test texts is possible only through the Manager. Disable Printing You can prevent users from printing reports or test diplomas from their workstations. Printing will then be possible only through the Manager. These settings are used to control workstation installations made with the Netsetup tool. Installation Path This is the path where TypingMaster will be installed to in all workstation installations done with NETSETUP. When this option is selected, TypingMaster can only be used from workstations installed with NETSETUP. Selecting this option will give you more control over the workstations and licenses since no one will be able to create a shortcut to the server. NOTE: If workstations are installed using shortcuts, this option cannot be selected. When this option is selected, the Netsetup utility also installs Satellite to workstations. Note that Satellite might be against your corporate policy because of the technology how it reads the keyboard input. You can read more about the Satellite at our web pages. These options let the administrator change Satellite settings for all workstation installations. Hide Satellite When this option is selected, the Satellite menu item will not be visible in the TypingMaster program menu even if Satellite was earlier installed to workstations. Also, if the Satellite was earlier activated on any of the workstations, it will be removed automatically on the next reboot. Select this value to ensure that Satellite does not collect information on difficult words. This option is highly recommended in environments where high security is required. NOTE: Satellite in itself does not fulfill high security requirements and thus cannot be recommended in environments where security is vital. Please read our security statement for Satellite at our web pages. This option lets you disable the use of backspace in exercises and tests for all users. Normally a user is able to make corrections on the word currently being typed. With this option selected the user cannot make any corrections. With this setting it is possible to change how the standard WPM is counted (this affects also the error hits counting). The default value for this setting is 5 (i.e. using 5-keystroke standard word). If you wish to use Business Language WPM setting, the value would be 6. For some European languages, value would be 10. Disable Internet Links This setting prevents users from accessing the Internet links on the Info page. By default clicking on these links opens a browser displaying offline information about TypingMaster Pro. Enable Rhythm Indicator Activating this displays the Rhythm Indicator. The Rhythm Indicator shows the user how smoothly they type, with emphasis on trying to motivate them to type at an even pace rather than is spurts. The indicator is displayed in the right hand side of the screen during exercises only. Disable Games from Menu Hides the games menu from users. Games can still be played if they are embedded as an exercise in a Lesson but the option is removed from the menu so they can no longer be selected independently. Disable PDF Prevents users from exporting their progress reports to PDF data format. Disable Full Screen Prevents users from enabling the Zoom Full Screen mode that requires DirectX. The Zoom mode changes the display resolution to fixed 800x600. TypingMaster User Manager offers these special features which give more power to the administrator. TypingMaster Pro supports real time monitoring of users. The administrator is able to monitor the users' progress while they are studying on their workstations. When the user is studying (or the Satellite is active), a lock will appear on top of the user icon in the user list. When a user is locked, the administrator will not be able to change user properties or delete the user. The administrator can view a user's progress by selecting a report to be viewed. All exercises and tests that the user has completed will be displayed in the reports. NOTE: The user list in the Users section of the Manager is updated only when Manager is started or Refresh button is clicked. Therefore, summary information displayed in the user list may not be up to date all the time when users are studying. To view a user's current status, create a report on the user. This will display up-to-date information on the user. You can create new users for TypingMaster User Manager from an existing list. Information such as name, group and password can be taken from any .csv file (i.e. comma separated user list file), usually an Excel or database file. It is possible also to export names and general status of users to Comma Separated File (CSV). To import users, start TypingMaster user Manager and select File > Import Users. This will bring up a new window. Import only accepts CSV files so you need have saved the source file in CSV format in advance. To convert an Excel file to a CSV file, save the file again choosing 'File > Save As' and selecting 'CSV (comma delimited)' from the 'Save as Type' drop-down menu. Note that you should delete all heading and title information such as First name, Last name, Class etc., from the source file before importing information to TypingMaster Pro. Otherwise you will have users like "Last name, First name" in the TypingMaster User Manager and need to remove those afterwards. Once the Import screen is open, the screen is divided in two. The top half, or section 1, is dedicated to choosing the source file from which you want to import user information. Click on 'Open Data Source', browse and select the file you want to import and click on 'Open'. TypingMaster Import tool now shows the contents of the file you chose on the top-right-hand side of the screen as well as in the preview window below it. If you have chosen a wrong file, you can easily change your selection by clicking on 'Open Data Source' and choosing a different file. The bottom half of the screen, or Section 2, is dedicated to modifying column information and completing the process. First have a look at the Preview window on the right and check that column headings are correct. The default column headings in the preview window are 'First name', 'Last name', 'Class/Group' and 'Password'. If your source file has listed data in a different order or has more columns, you can now change the column headings accordingly. To change column headings, use the drop-down menus on the left-hand side. They are numbered from 1 to 6 referring to the respective columns in the Preview window and show the heading options from which you can choose. Select the ones that match your table and use 'n/a' if you do not want to import the information from some column(s). Below the drop-down menus there is a box 'Create the Group/Class if missing', which is checked by default. When checked, the User Manager creates new groups by using the group names you have in the .csv file and places imported users automatically under these groups. If some users do not have group information, the User Manager places them under the default group set in the User Manager (usually 'New Users'). If you uncheck the box, the software tries to assign users to existing groups, but does not create new groups. For example, if in the source file you have some group names and in the User Manager groups with the same name, the software take the users from those groups and place in the matching group in the User Manager. All others users from your .csv file will be entered into the default group in the User Manager. You can then group the imported users manually afterwards with the Manager. Admittedly, the tool is a bit confusing if you uncheck the 'Create the Group/Class if missing'. We'll work on it to make it clearer. Once everything is set to your satisfaction, click on 'Import Now'. The tool will now enter user information from the .csv file to TypingMaster User List. This utility supports two most common industrial CSV formats, semicolon and comma separated ones. The very first line of CSV file is used to detect if semicolon or comma should be used as a separator mark. "john smith","class 1","mypassword","+1 322 1239"
"john","smith","class 1","+1 322 1239","mypassword","teacher name"
"smith","john","+1 322 1239","mypassword","teacher name","class 1"
Note: If the new users are not shown on client computers, go to the Common Settings page and click on "Rebuild User Index" link on the left to fix the problem. It is possible to use the same TypingMaster User Manager on the administrator's computer to control multiple versions of TypingMaster Pro. This is helpful if you have TypingMaster installed on more than one server. The current installation directory of TypingMaster Pro is shown. To edit the database of another TypingMaster Pro installation, enter the complete path of the new directory in the space provided. If you do not know the complete path, you can select 'Browse' and choose the installation directory from the directory tree. From the Common Settings tab, administrator can complete some maintenance tasks. In school use, it is good to reset the top ten high scores from time to time. You can do this very easily by clicking Erase Game scores button. If the user list of TypingMaster Pro user login page does not display the all names shown in the Manager for some reason, click the Rebuild User Index button. No data is lost, but the group index files ( .IDX) are created again to solve the problem. The TypingMaster Study Material Editor (herein referred to as the Editor) is designed to help administrators and instructors to modify the existing courses in TypingMaster Pro or to create new custom courses. The Editor is available when installed from the Setup. Note: In the trial version, changes made with the Editor cannot be saved. Before you start modifying exercises, we recommend that you get to know the different exercise types of TypingMaster Pro. Below is the list of the main drill types used in the latest version of TypingMaster Pro. In addition to these, you can set the drill to be a game or a review session and can also insert message type events (Introduction Page) to the courses. Note: To support older versions of TypingMaster, there are some other exercise types in the Editor. To make sure the exercises you create work in the latest version, we recommend using the exercise types listed below, the Introduction Page and Game events. The program shows one sentence per screen. If the sentence is longer, the program automatically wraps it on two lines. Carriage return marks the end of the sentence. Users are required to press Enter at the end of the sentence. - Jill is English and comes from a town called Kettering. Sentence drills can be used without punctuation marks and capital letters if they have not yet been studied. Paragraph drills show a max. 5 line paragraph at a time. Paragraph drills can only be used after capital letters and period have been studied. The drill consists of several paragraphs that can be of different theme each or carry the same story line throughout the exercise. Sentences can flow freely from one row to another just like in any text. Text drill shows about 15 lines of text at the time and there are no keyboard visuals to support the user. This drill type is the same format as the text drill. This should be used only as the lesson exam (last exercises in a lesson) with the teacher led courses. Using the Lesson Exam drill, the administrator can set passing limits to the exam in the Manager. Once open, on the left-hand side of the screen you see all the available courses. Click the course to see the structure and settings for a course. You see immediately how many lessons there are and when different keys are introduced. The course and its exercises can be edited in the window on the right-hand side of the screen. You can now browse through all exercises as well as messages by clicking them open with your mouse. Once an exercise is open in the edit window, you can make the changes you want. Some exercises are created dynamically and cannot be modified unless you click a button Make a Drill Editable. The Editor automatically defines row length, font type and size for each exercise type, and adjusts the edit window width accordingly. You can preview how the course works and see your changes by clicking the 'Preview' button on top. When making changes or creating new material, the Editor only accepts keys that have been studied so far. If you try to enter a letter that has not been studied, it will not appear on screen and you hear a warning sound. The new keys are shown on bottom of the edit window on the right-hand side. You can also choose to see a Virtual Keyboard that has both allowed and new keys marked by pressing Keys button on toolbar. Save the exercise either by choosing 'File > Save changes' or by moving to another exercise and the program automatically asks you to save changes. Remember also to save changes if you made any changes to the course settings or course structure. Once you have made all changes that you wanted to, we recommend that you use the 'Verify Study Material' tool of the Editor to quickly check that no exercises use keys that have not been introduced yet. Run the check especially if you have created some exercises using a text editor and copy-pasted them into the Editor. To run the check, choose 'Tools> Verify Study Material. From Tools menu, choose Run Typing Master and complete once the exercises you have modified to see that they work properly. Update Review Wizard Database: If you have removed words from a course or added a lot of new material to a course, you may want to rebuild the database that gives words to the dynamic reviews. To do that, select Tools > Update Review Wizard Database.